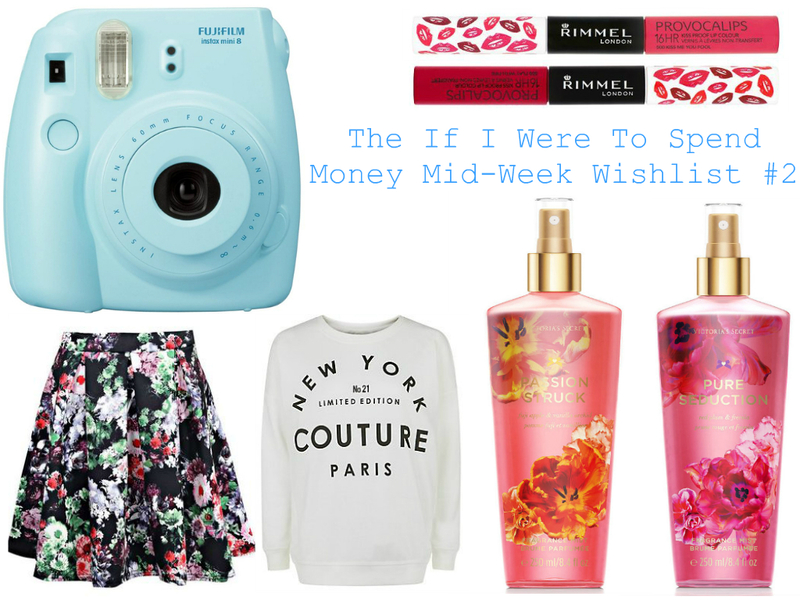 Hey guys so today’s blog post is another “If I were to spend money wishlists” because yes I am still trying to save up money. I’m doing well so far I’m trying to use up more products instead of buying new ones before my old ones are even finished!! I really want to try these out as I saw It’s Judy Time review them the other day on her channel and she liked them so I thought I should try them out. However I do think that they are quite expensive for the size of them which is why they’re on my wishlist. I also want to try them out as they claim to be transfer proof, light weight and flexible so they sound great for a day or night out. Rimmel have also selected a nice range of colours as there’s at least one colour for someone. I’d love to grab some in time for my Spring haul that I’m doing with another youtuber (keep your eyes out for that). If you’ve been reading my blog for a long time now then you’ll know how much I love jumpers like this. I love simple jumpers that have a picture, some words or a slogan on them. I think that they’re super comfy and you can either wear them night or day. They’re just perfect Sunday days when you just relax at home and watch movies all day while eating lots of junk food. Ever since I got a bunch of my friends some Vs fantasies for Christmas I’ve been wanting to get some for myself. I’ve always seen these on Tumblr but never managed to get a hold of any. Until a Pink shop opened up in Westfield London which I was super excited about. I really want to try and get all of them (over time of course) as they all fabulous both in packaging and scent. I chose to pick these two scents as passion fruit is one of my favourite scents and the other one because valentines day is coming up. I really like this skirt it’s super cute and I think it will be a great addition to my wardrobe. I don’t own many skirts like this maybe one or two I also love the patterns as I’ve heard that floral is going to be really in this spring. My aim for this year is to save up but also when I do purchase any clothes I want to purchase ones that will last me a long time and not ones that stay in the back of the wardrobe. The last thing on my wishlist is this polaroid camera I have seen these everywhere over the past few months they have just become so popular. I think this will be one of the main presents I would like for my birthday as I don’t really have anything in mind I mean I’m only turning 19 it’s not that big of a birthday. These cameras are just super cute and I’d love to have one so that I can then add the photos to my collage on my wall. However the only thing putting me off is the film which is quite expensive so if I ever got one I’d only use it for special occasions. "The Sunday Topic No.4 – Jobs"
"The Me Time TAG – Nominated by Hey Lucy"